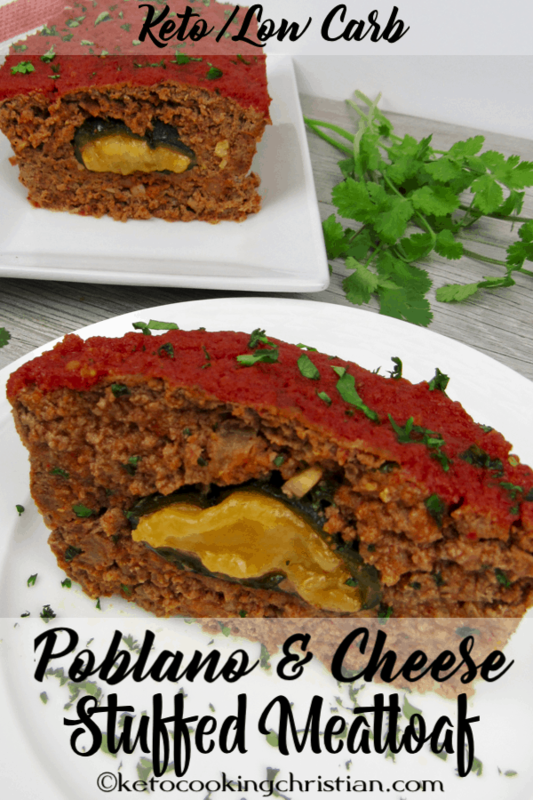 A flavorful spin on meatloaf stuffed with a cheesy poblano pepper surprise! 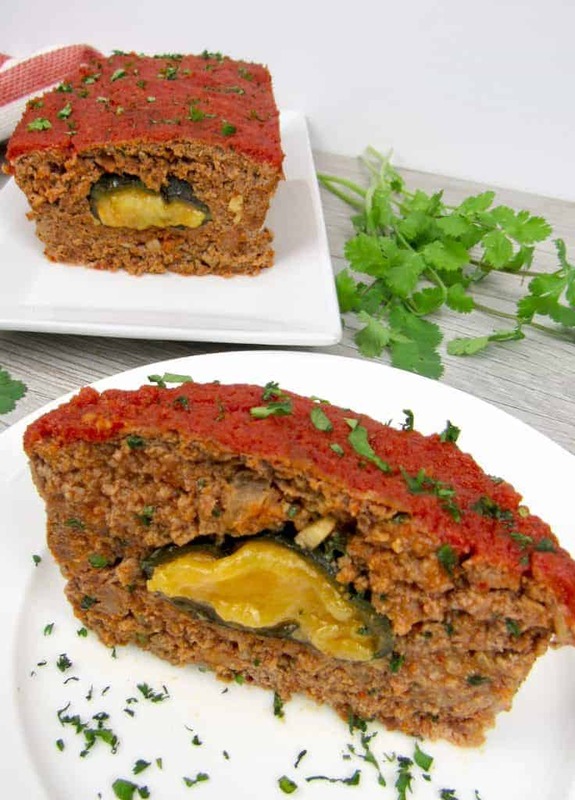 I use mostly ground beef in this meatloaf, but I also added in some chorizo sausage, which I absolutely love! 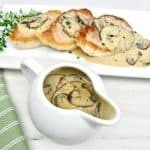 I’ve used it in many dishes, including eggs for breakfast! 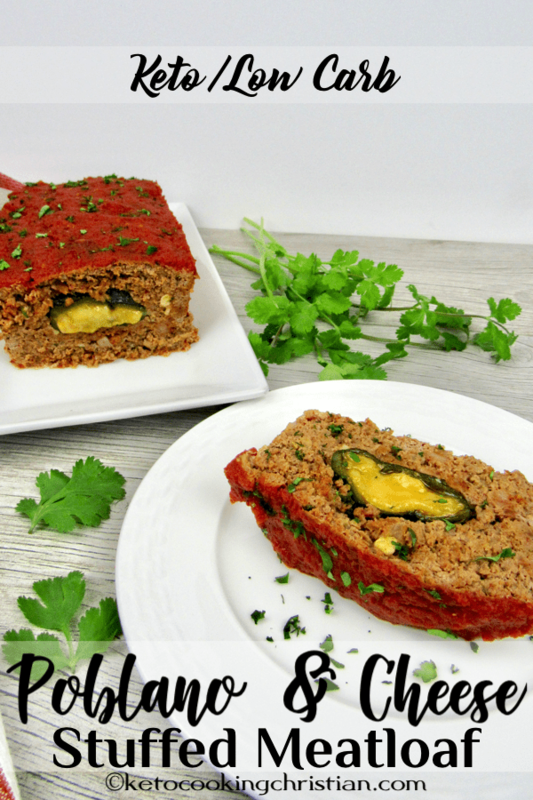 It has such great flavor and I thought it would be perfect in this meatloaf and it did not disappoint! Another favorite of mine is chipotle peppers, which I also cook with often. It gives a deep semi-spicy and smoky kick to whatever I make. 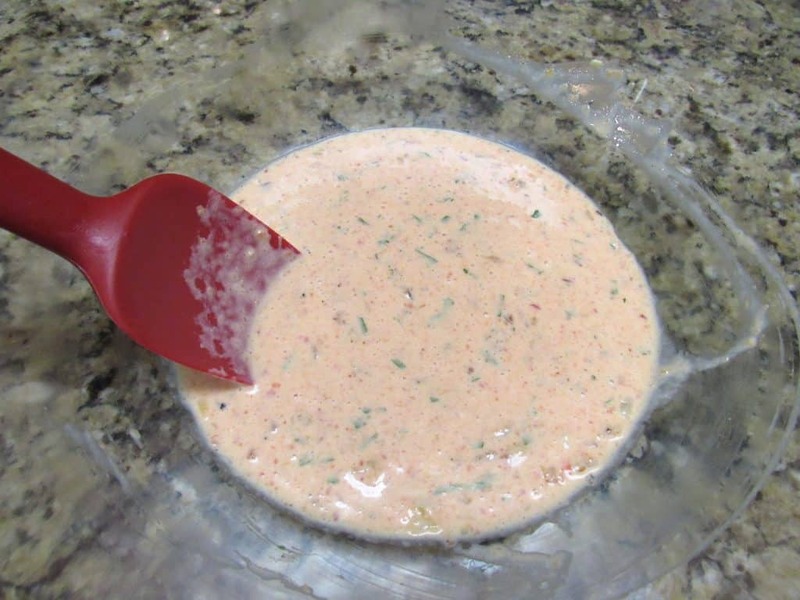 I use it in my Taco Meat, Chipotle Ranch Dressing, and Baked Southwest Skillet with Chipotle Cream. What’s great about them is you really don’t need to use much. I open a can and freeze them in little snack baggies for use later. Then whenever I need them, I just thaw and use! 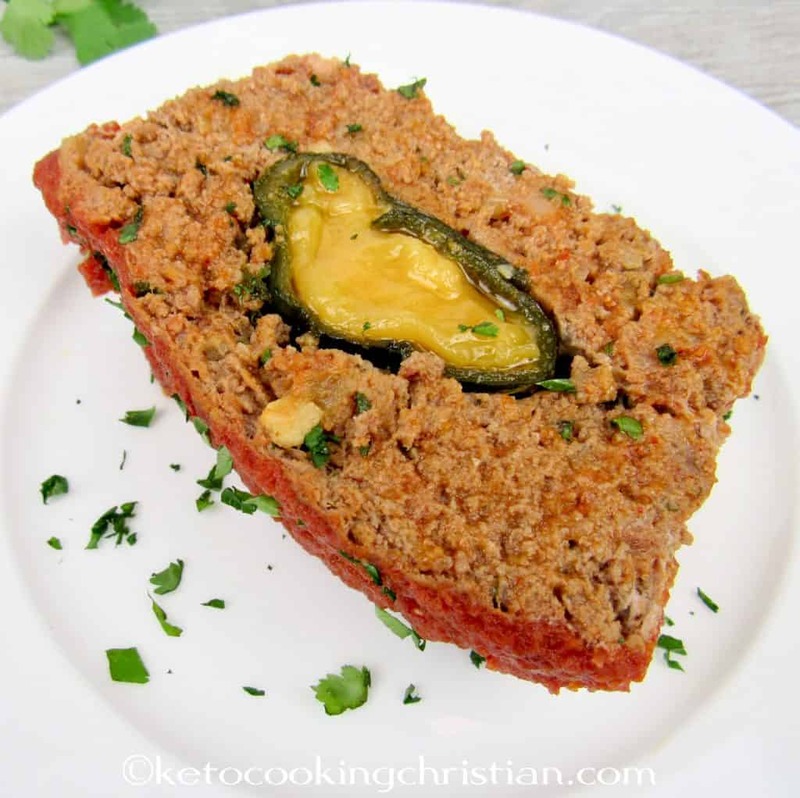 So there are a few steps to making this Low Carb meatloaf recipe, but trust me when I tell you it’s so worth it! 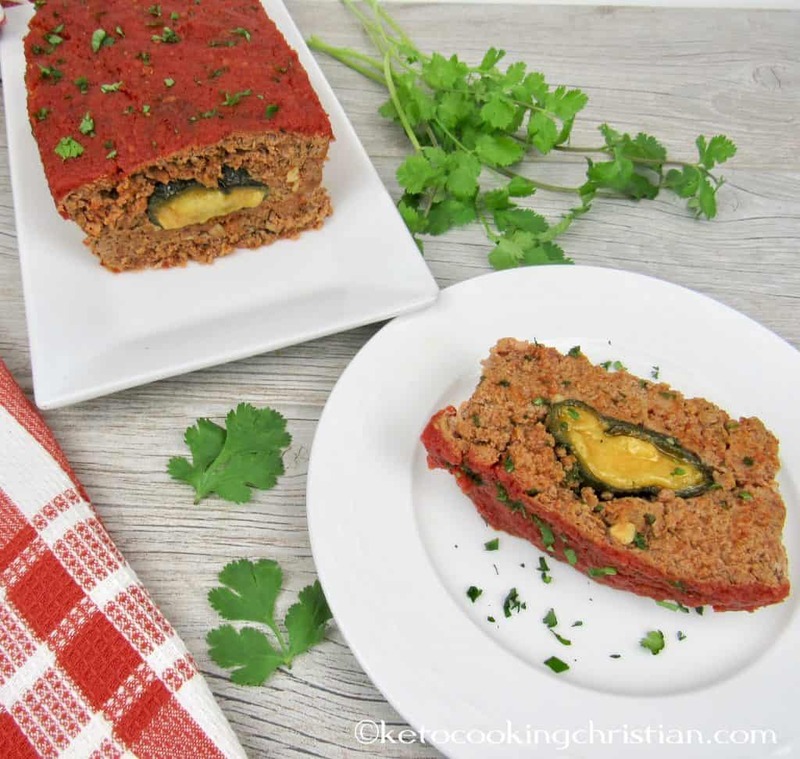 This meatloaf has tons of flavor and isn’t dry in the least! Add the 2 poblano peppers on a baking sheet lined with aluminum foil and rub them with olive oil. Roast them in the oven for about 5-7 minutes or until the skin is charred. Then place them in a bowl covered with plastic wrap and allow to steam for 10 minutes. This makes removing the skins much easier! Remove the skins and seeds, and lay out on a flat surface. Add 1/2 the shredded cheddar cheese to each and roll up the pepper to seal. Set aside. Turn oven temp down to 375F. 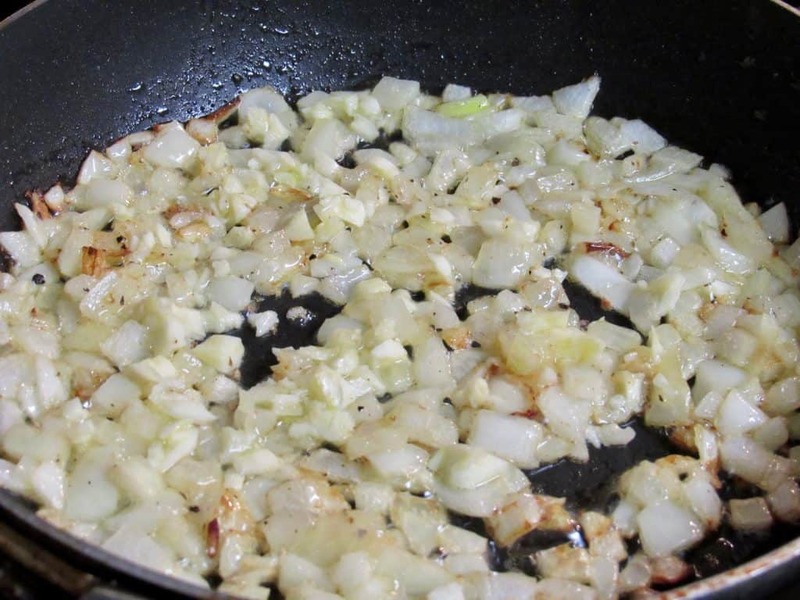 Add the butter to a small skillet, add a dash of olive oil, then sauté the onions for a few minutes. Add in the garlic and sauté for about 20 seconds, then set aside to cool. Add the can of Ro-Tel and the chopped chipotle peppers into a tall cup and blend using an immersion blender. Add 1/4 of the mixture to a large mixing bowl and reserve 3/4 for the topping. In that same bowl, add in the eggs, heavy cream, cilantro, salt, pepper, the cooled onions and garlic. Mix until well combined. Add in the ground beef and chorizo and mix until combined. 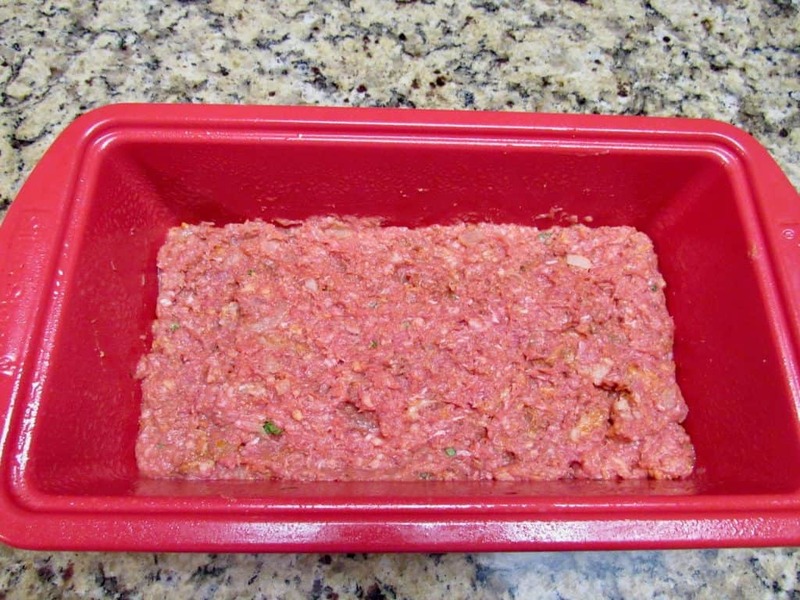 Take half the meatloaf mixture and spread it on the bottom of a meatloaf pan, that’s been sprayed with nonstick spray. 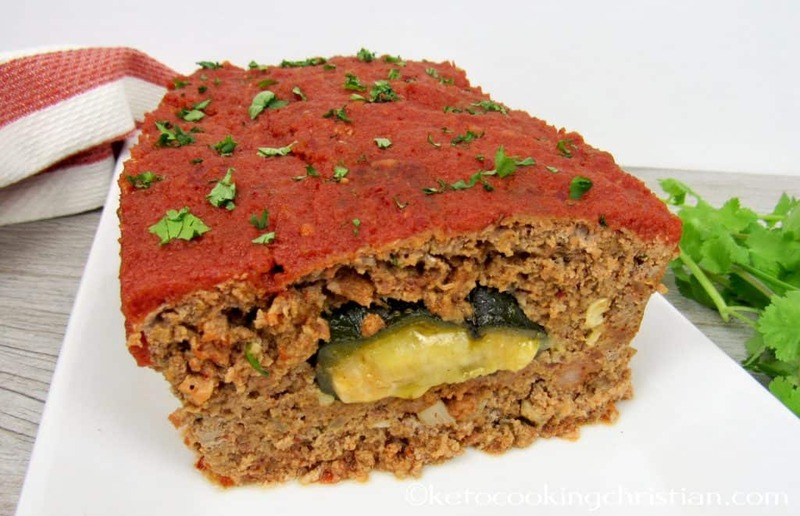 I definitely recommend using a loaf pan, rather than a casserole dish because the loaf pan will allow the meatloaf to hold it’s shape better. 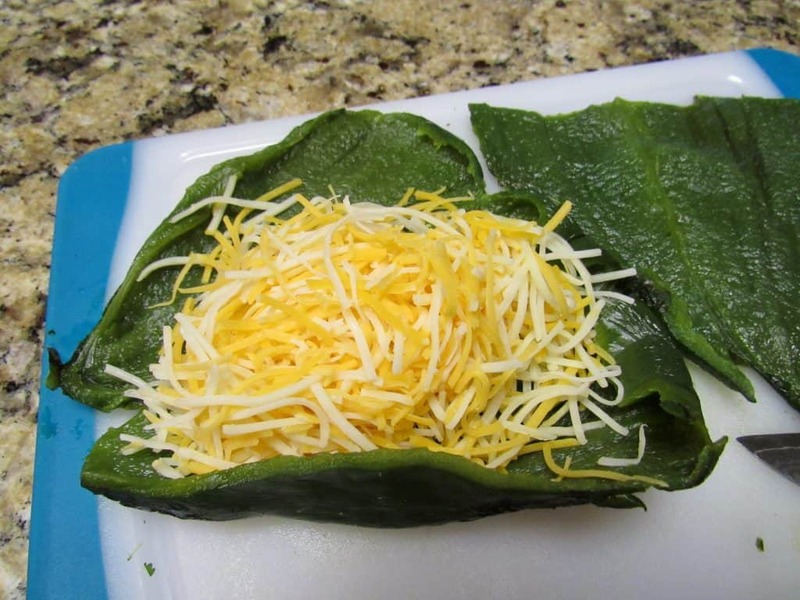 Place the cheese filled poblanos down the center, seam side down, up against each other and leave a small border near the edges. 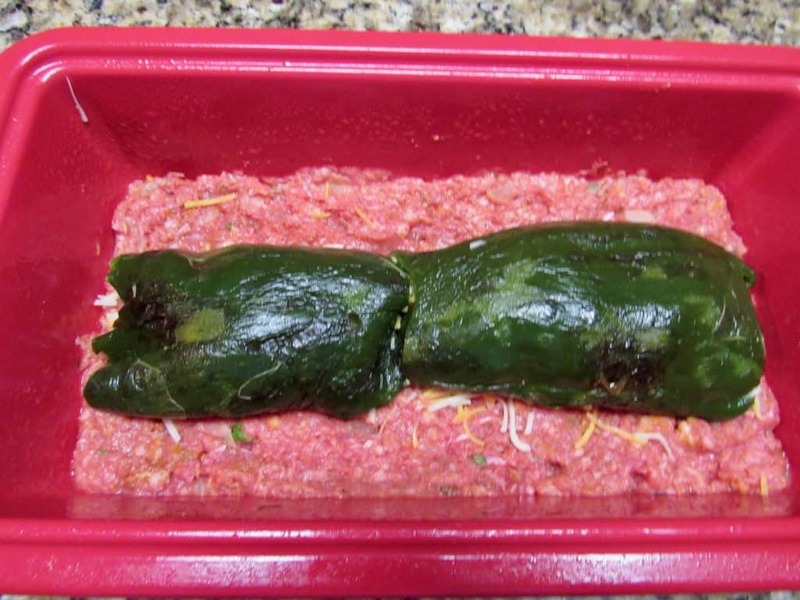 Add in the rest of the meatloaf mixture, sealing off the edges where the poblanos are. Bake for 45 minutes, drain out some of the liquid that has accumulated in the pan. 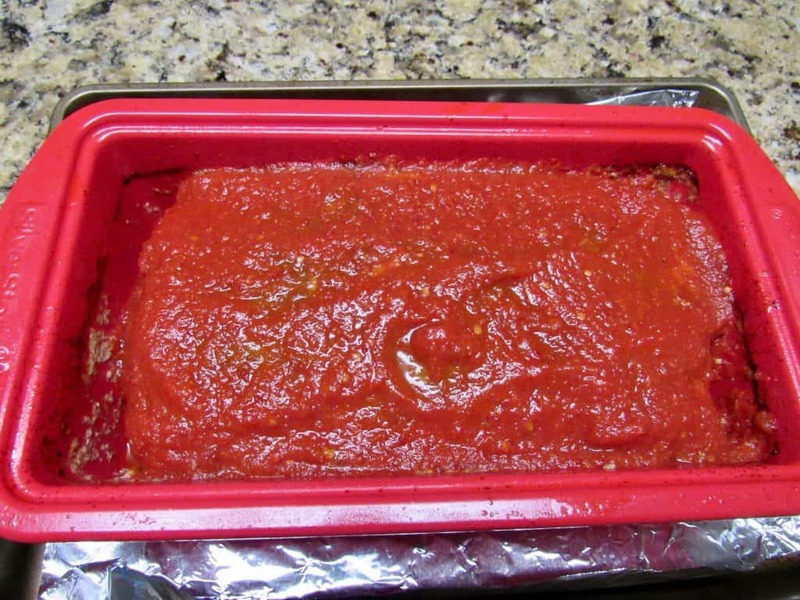 Pour on the reserved Ro-Tel and chipotle pepper puree and bake for another 15-20 minutes or until it reaches an internal temperature of 160F. 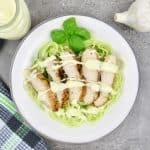 Allow to cool slightly before cutting into, garnish with fresh cilantro and serve! 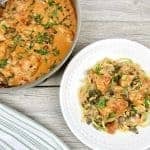 Store leftovers in the fridge for a few days or freeze. Preheat oven to 400F. 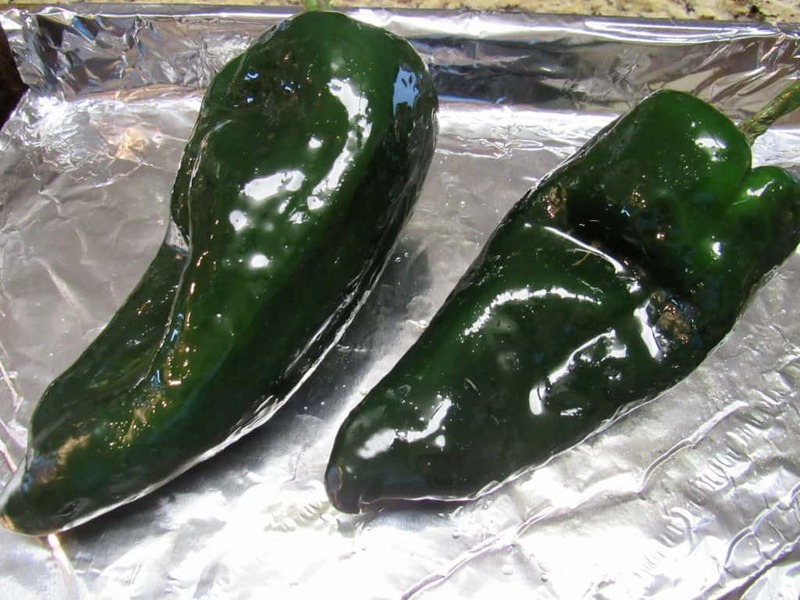 Add the 2 poblano peppers on a baking sheet lined with aluminum foil and rub them with olive oil. Roast them in the oven for about 5-7 minutes or until the skin is charred. Then place them in a bowl covered with plastic wrap and allow to steam for 10 minutes. This makes removing the skins much easier! 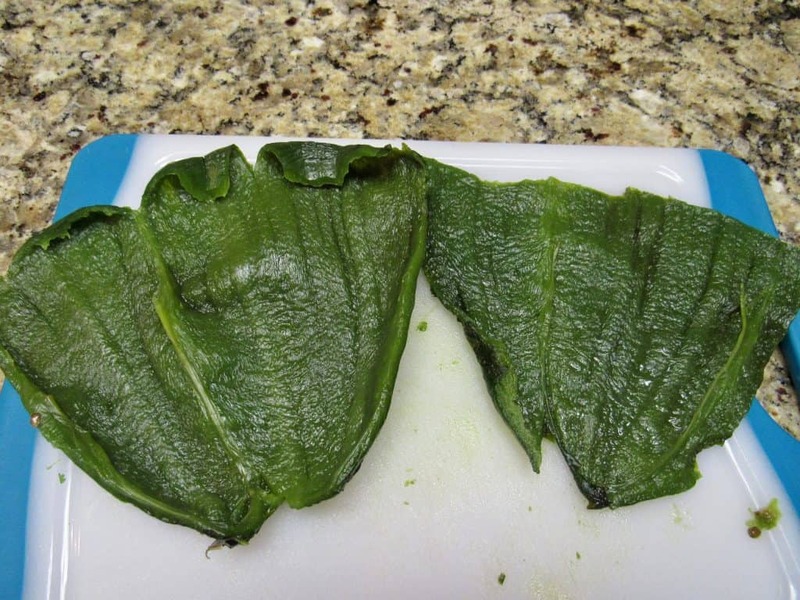 Remove the skins and seeds, and lay out on a flat surface. Add 1/2 the shredded cheddar cheese to each and roll up the pepper to seal. Set aside. Turn oven temp down to 375F. Add the butter to a small skillet, add a dash of olive oil, then sauté the onions for a few minutes. Add in the garlic and sauté for about 20 seconds, then set aside to cool. In that same bowl, add in the eggs, heavy cream, cilantro, salt, pepper, the cooled onions and garlic. Mix until well combined. 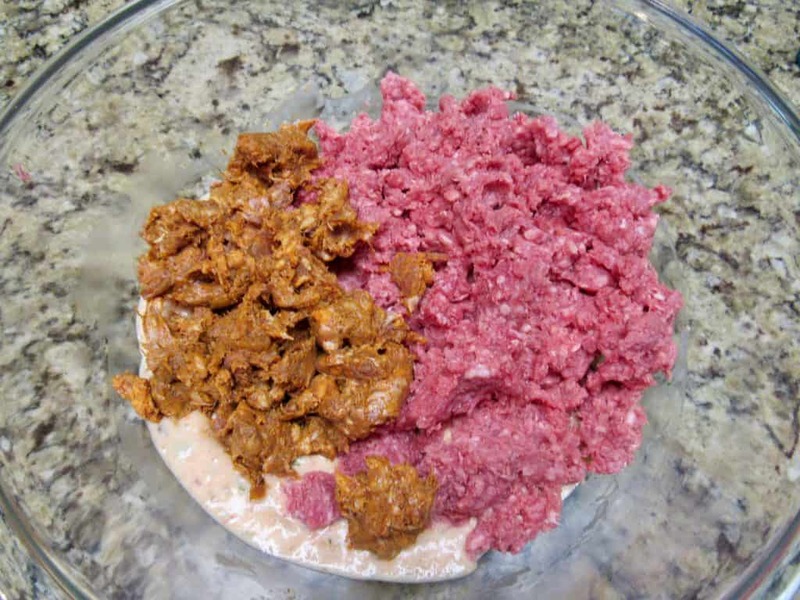 Add in the ground beef and chorizo and mix until combined. 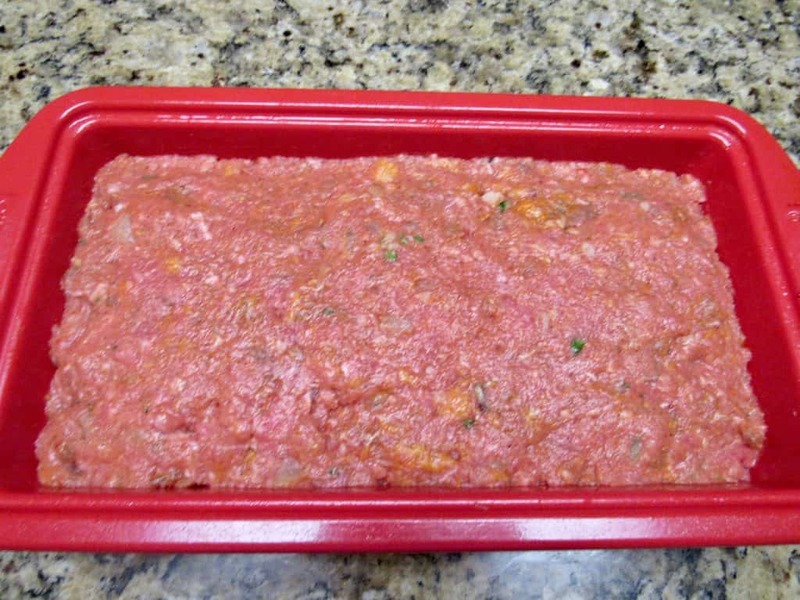 Take half the meatloaf mixture and spread it on the bottom of a meatloaf pan, that's been sprayed with nonstick spray. 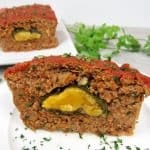 I definitely recommend using a loaf pan, rather than a casserole dish because the loaf pan will allow the meatloaf to hold it's shape better. 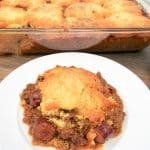 Place the cheese filled poblanos down the center, seam side down, up against each other and leave a small border near the edges.Add in the rest of the meatloaf mixture, sealing off the edges where the poblanos are. Bake for 45 minutes, drain out some of the liquid that has accumulated in the pan. 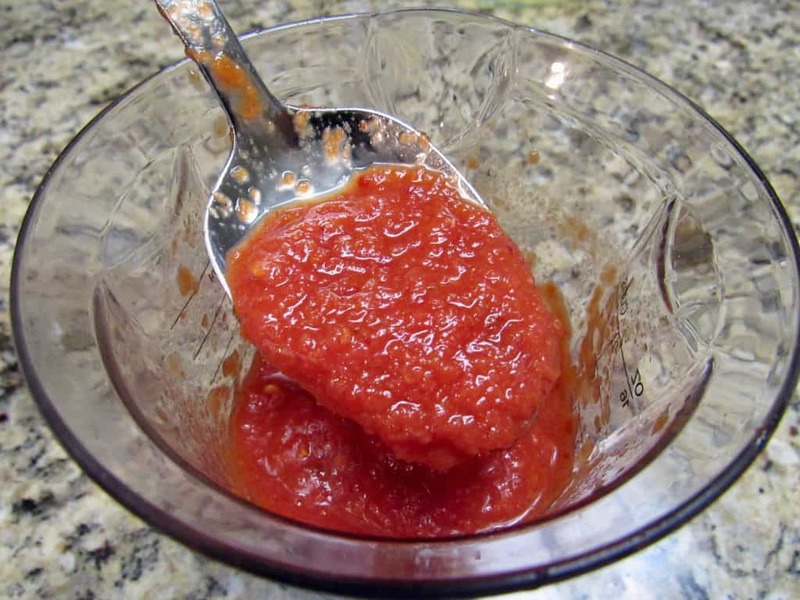 Pour on the reserved Ro-Tel and chipotle pepper puree and bake for another 15-20 minutes or until it reaches an internal temperature of 160F.